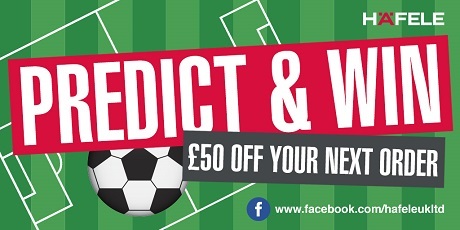 Whether you love it or loathe it, there will be no escaping it over the next couple of months; football season is set to polarise the opinions of homeowners across the nation once again. Over a staggering 20 million UK viewers tuned in at home to the international tournament four years ago and there’s no doubt that the 2018 tournament will be dominating the airwaves in homes again this year. Undoubtedly, this is fantastic news for football fans but a potential cause for disagreements in households where not all of the occupants are as passionate about the beautiful game. The good news is that arguments over who watches the TV are less likely to kick-off in homes across the nation during this year’s tournament. With nearly one fifth of households now using their kitchen as a second TV room, both fans and non-fans now have the chance to relax in front of a good-sized screen. In fact, research that we conducted found that 18% of respondents watch the spare TV in the kitchen at least three times per week because they don’t want to watch what’s on the main screen. 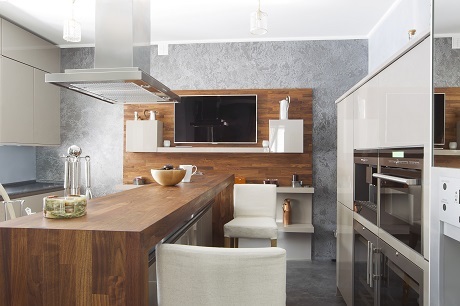 Home entertainment is also a fantastic way to add value onto the sale of a kitchen, providing customers with the technology to meet their flexible viewing needs within the design of their kitchen. 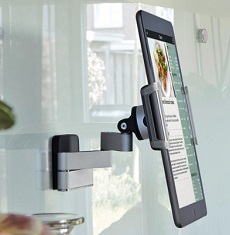 Tablet wall mounts are a great example solution for this need , providing homeowners with the ability to view their favourite shows at the same time as dining, or having their recipes close-to-hand whilst cooking. 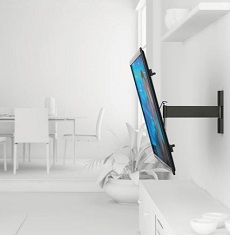 Alternatively, TV Wall Brackets are a great solution for freeing up floor space – ideal for smaller living spaces. This Flat Screen Wall Turn & Tilt Bracket is virtually invisible with just 35mm of space between TV and wall and cable inlay system to hide cables, making it a sleek addition to any modern kitchen. This solution, backed by Vogel’s life time guarantee, also won the prestigious Red Dot design award. Chloë Thacker, Marketing Director, Häfele UK, comments: " The kitchen has always played an important role in family life. But our survey shows that it is becoming seen as the true heart of the home, a multifunctional space for cooking, eating, working, socialising and more.